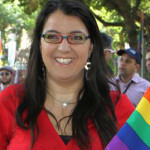 Zehorit Sorek is a prominent Israeli LGBT activist, Founder of the Pride Minyan group for religious LGBT Israelis and leader of the LGBT caucus of Yesh Atid party. Zehorit Sorek founded the Pride Minyan in Tel Aviv on Yom Kippur 2009, after she felt like she has no place in her native Orthodox synagogue. 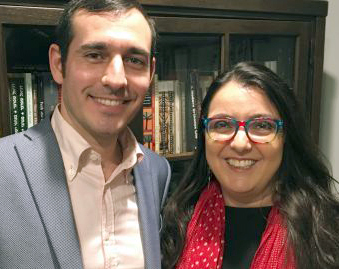 As a born and raised Orthodox Jew, Zehorit dedicated her volunteering work to the creation of a proud Lesbian, Gay, Bisexual and Transgender religious community. 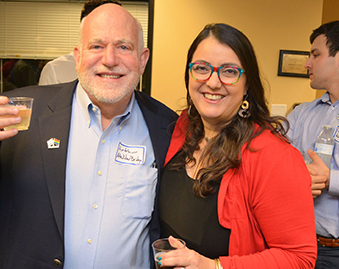 Besides her work for the Pride Minyan, she’s an active member of “Bat Kol”, the religious lesbian organization, and a former director at “Hoshen” an educational program for LGBT acceptance. Also, she’s a member of the advisory committee of the LGBT community center in Tel Aviv. In 2012 she got the honor of Distinguished Members of the LGBT Community. 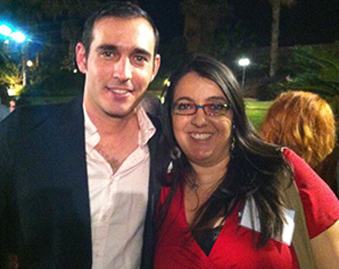 During the last year she functions as the Chairperson of the LGBT cell of “Yesh Atid” party. Zehorit holds a M.A in Studies in history and archeology of Israel from Bar ilan university nowadays she works at the education system as a teachers trainer . Zehorit currently lives in Tel Aviv, with her wife, Limor, and two children, Tzvi-Bar and Ariel.